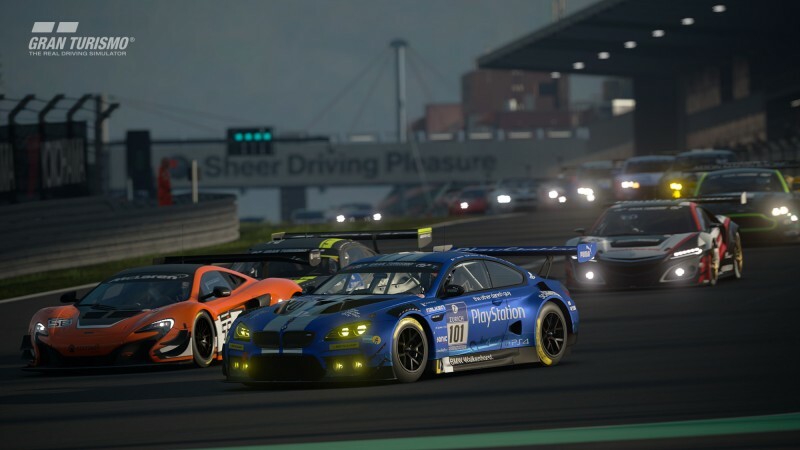 Gran Turismo developer Polyphony Digital has slowly developed the series' online component through the years, but now it's focusing on online play. GT Sport goes beyond the predominantly single-player past of its numbered installments, but doesn't go so far as to carve out an entirely new identity. The game uneasily tries to straddle these two poles, but thankfully the excellence of the driving is a comforting totem amidst some of the confusing structural choices. 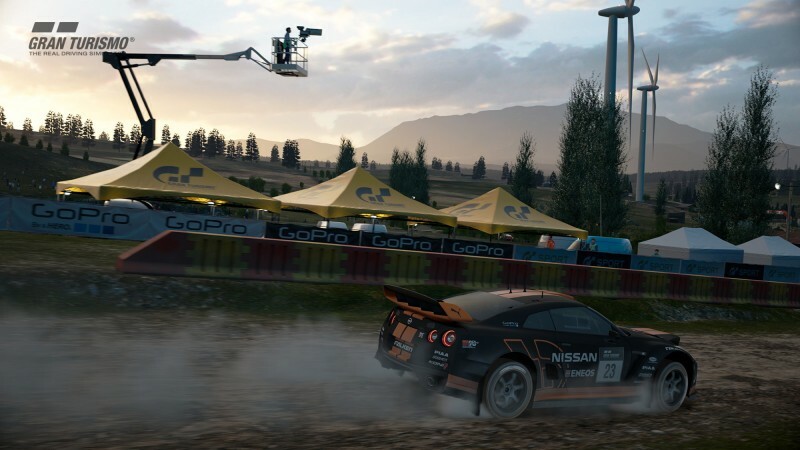 The titular online mode isn't just about racing against other real-life opponents (the online lobbies are suited for that kind of free-for-all), it funnels players into specific competitions. Daily races are preset by Polyphony and they open up at specific times through the hour. This focuses the community, but the fact that these "daily" races are only being changed weekly means I soon tired of putting down qualifying times and challenging for a podium finish on the same three tracks. 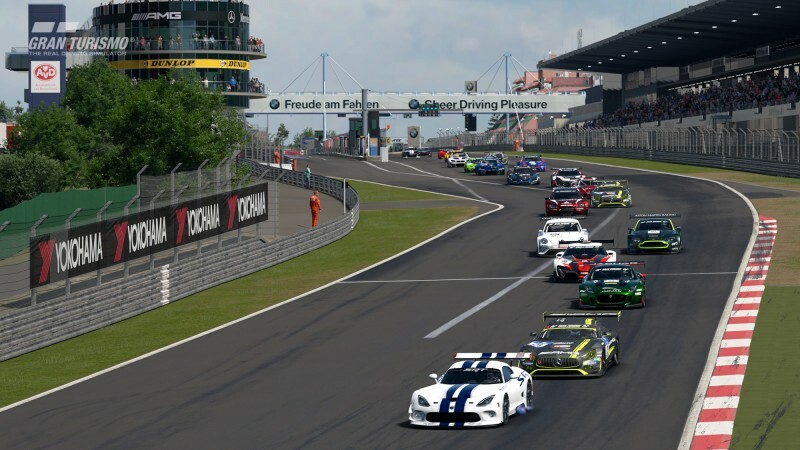 The marquee FIA GT Nations Cup, Manufacturers Series, and Polyphony Digital Championship competitions are all similarly time-gated, creating further choke points, and the online-only save structure – no matter what mode you're in – is also a hurdle. It auto-saves at intervals, but progress can be lost if there's a blip in the interim. I like GT Sport's solemn attempt at a sense of occasion and propriety – even the earnestness of the etiquette rating that rewards you for not running into people. I feel the satisfaction of racing the right way. This isn't conveyed through the reckless driving penalties, which can be levied unfathomably, but by the cars themselves. The racing demands an understanding of the limitations and strengths of the cars, from the lateral stiffness of a low-end car to trying to harness the horsepower and braking prowess of a better one. I smugly enjoyed taking a corner crisply and thereby passing a faster car in lesser hands. Overall, the fact that car collision is disabled when someone re-enters from off the track or spins out of control thankfully prevents all hell from breaking loose during online races. In another concession, even shots from behind don't automatically send you careening. Cars, credits, and various rewards like decals and arcade mode track unlocks flow easily, and cars can be tuned and upgraded (through a simplified system, since you don't buy parts), allowing them to compete across different performance categories. 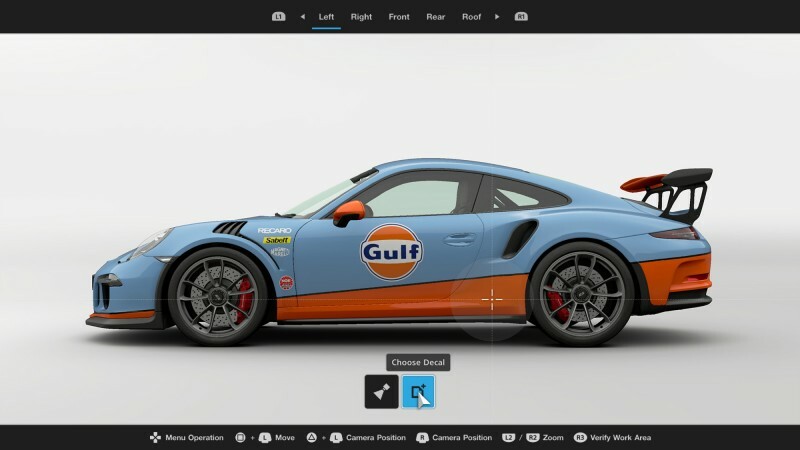 Your garage is useful as you get a feel for which ones you like on which track, but this endearment is stunted by the limited single-player campaign mode. 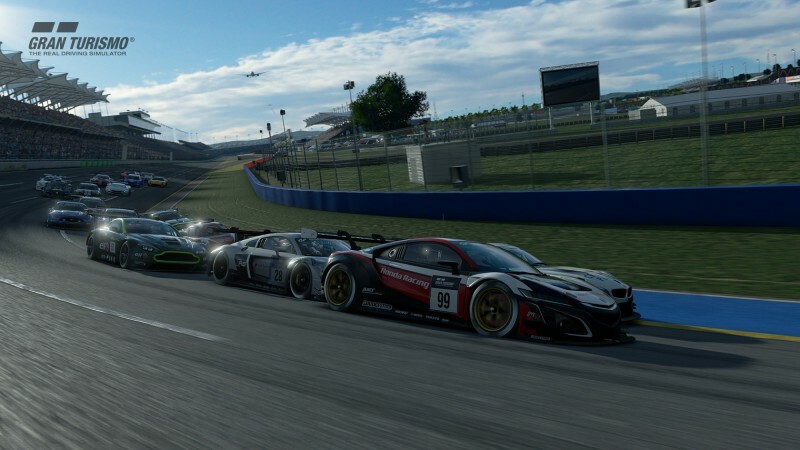 Putting aside the usual driving school lessons and the track tutorials in the Circuit Experience section, GT Sports' campaign mode largely consists of 64 mission challenges ranging from overtake tests to full-on races. 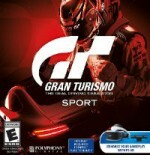 The mode is admirable and nets you credits and various rewards, but it doesn't offer the cohesive journey of a normal career mode containing series of multi-race championships (which I acknowledge could also be done better in the other Gran Turismos). Instead, it's a series of disparate, smaller tasks often involving loaner cars. GT Sport is an online-focused title for sure, but a side effect of the campaign mode as it stands is that it lessens the emotional investment in your garage cars. Finally, the entire game suffers from too few tracks and no dynamic weather to go along with them (currently rain is only in a later mission challenge). 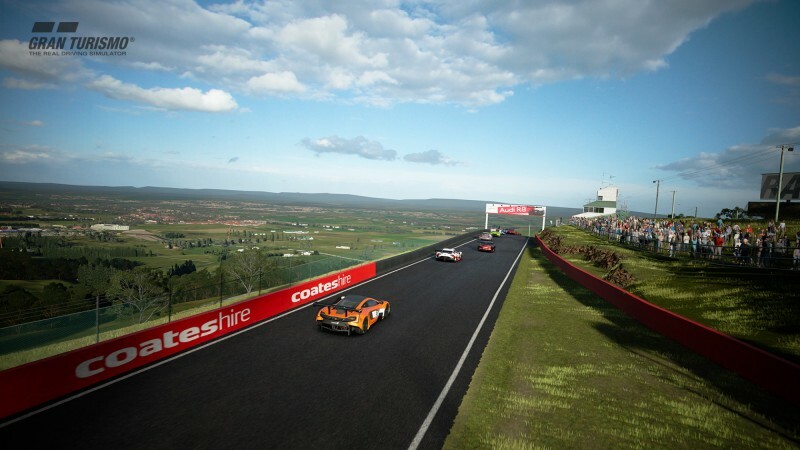 No matter the mode, you churn through the likes of Brands Hatch and Suzuka more times than desirable, and I don't know why Polyphony elected to use multiple ovals/near-ovals when they bring little to the table and there are other, more attractive real-world tracks out there. 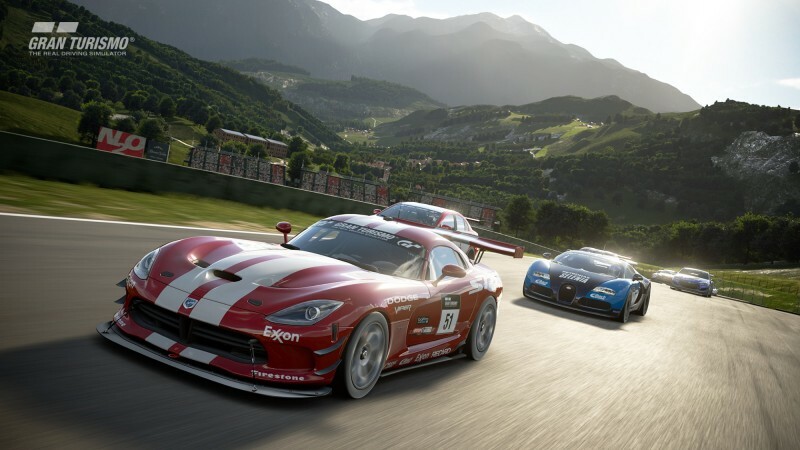 Regardless of its foibles, let this installment be the start of a real commitment by Polyphony Digital to online racing – one that is folded into the main series' career mode and which is not just a temporary dabble like the track creator of GT 5 or the dynamic time/weather and race clubs of GT 6. 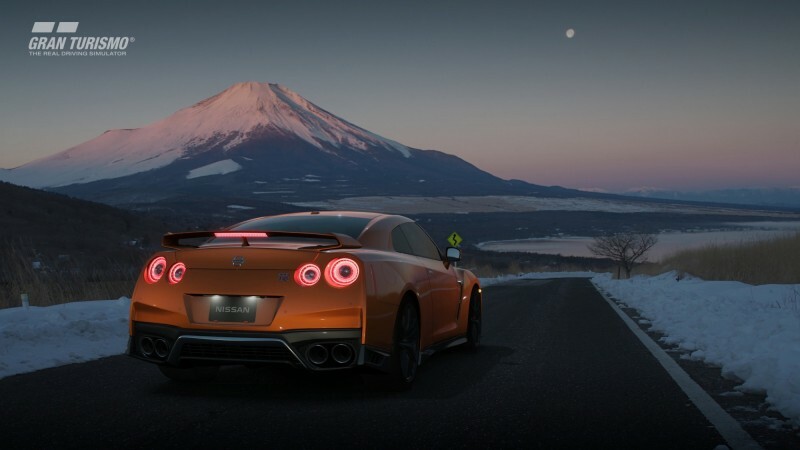 GT Sport has enough qualities that it should be the start of something better and not just a detour for the franchise. An earnest attempt at an online-focused title that conveys a love of racing but also contains a few missteps.